Pratibha Shipping Company has launched its Fixed Deposit Scheme for the tenure of 1 to 3 years offering interest rate 11.00% to 12.00% per year. Minimum deposit amount is Rs. 10,000 only. Additional amount will be accepted in multiples of Rs. 1,000 only. Interest payment will be made on quarterly by ECS/NEFT/Interest warrents on 31st March, 30th June, 30th September and 31st December in case of non-cumulative scheme. Interest compounded quarterly for cumulative scheme. The interest rate of 12% is higher by 3% than that offered by most banks. Company fixed deposits are unsecured and illiquid. 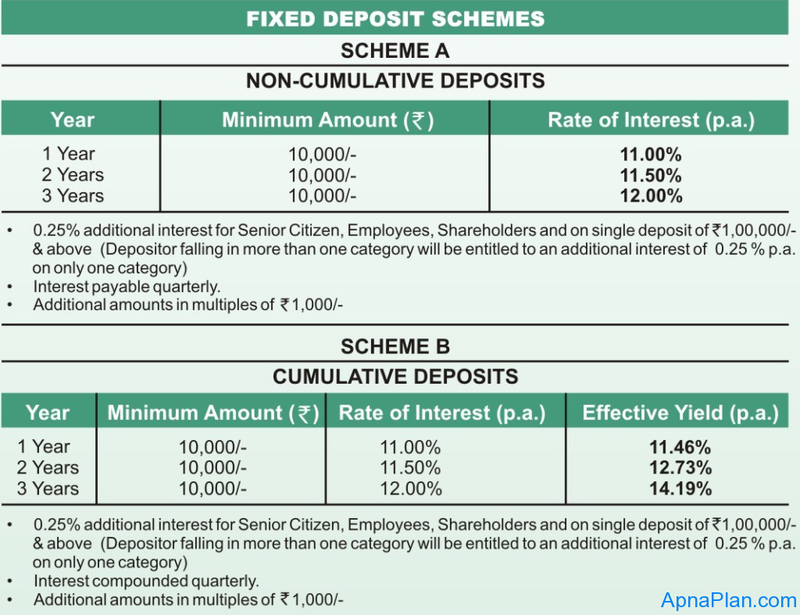 Interest income from company fixed deposits is taxable and for those in the highest tax bracket the post tax return works out to a mere 7.95% to 8.64%. The Company was incorporated on 20th February 1995 by young technocrats from shipping & financial institution. It is a closely held public limited company registered under the Indian Companies Act, 1956. Initially, the Company was owned by BT Shipping London, Anders Wilhelmsen Group, Norway and Indian promoters. Since Dec 2002, the ownership of the Company is with the A. N. PAWAR Family. The Company is headed by technocrat Mr. Sunil A. Pawar as Chairman and Managing Director (CMD) and assisted by the Board of Directors. Board of Directors are representing different fields and possess shipping, technical and financial background. Day to day function of the Company is carried out by the CMD alongwith the strong team of professional managers and controlling all the affairs of the Company efficiently and deligently. The Company has total strength of 35 young people in the office and about 400 Officers / Crew members on rotation & contractual basis on the Ships owned by the Company.